A little over a week ago Mac released their Chenman Love and Water collection. Here's a little info about the Chenman collection that I got off the Mac site -East meets West. A sensual colour collection created in collaboration with Beijing-born fashion photographer, Chen Man, inspired by her infatuation with love and water, yin and yang, pink and blue. The collection is actaully pretty big with nail polish, highlight, baked eyeshadow's, fluidline, glitter, lip glasses, lipsticks, etc. Of course me being a lip junkie I wanted to check out the two lipsticks! They did sell out online pretty fast *whats new* I'm not sure if they're going to be restocked, but I'm really glad I picked this color up. The color is very simlilar to a few lipsticks. At first I was thinking I didn't need this lipstick because I thought it was going to be close to the Nicki Minaj lipstick, or the Watch me Simmer. Although they are in the same color family however they are differnt. The color is a honeysuckle based hot pink with a matte finish. Its definitley bright! 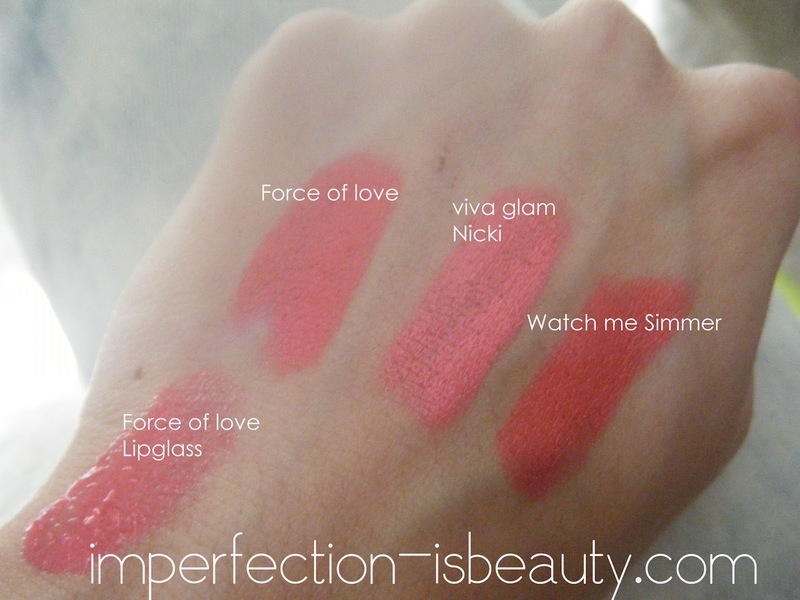 The Nicki color is more lighter yellow pink, and Watch me Simmer is more orange toned. I love them ALL and I couldn't tell you what one I love more if I had to. 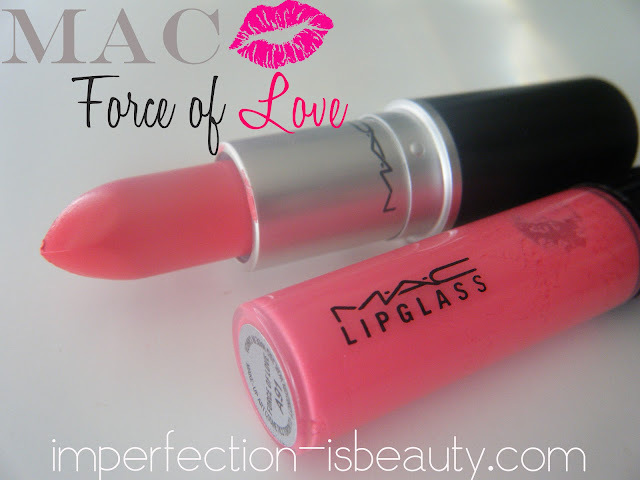 The Force of Love lipglass is identical to the lipstick. Very bright a little more sheer but you can definitely make it opaque. This lipglass looks gorgeous over top of the lipstick if your wanting more of a glossier look, or just by itself for more of a flirty look. 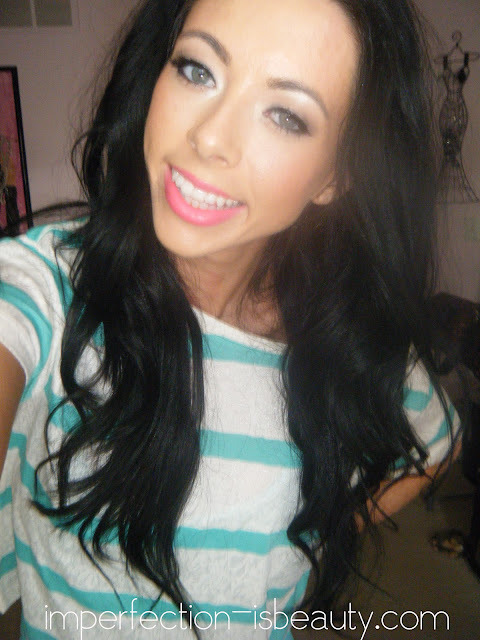 I perfer the lipstick alone just because I feel the gloss takes away the brightness. The guy at the Mac counter said that this lipstick was very close to the Iris Apfel collection's Party Parrots which I didn't get my hands on unfortunately but in pictures it does look similar but that happens with a lot of lipsticks. You are gorgeous. I didn't get anything from the collection. :( What eye shadows did you use on your eyes?? Force of love looks awesome on u! I didn't get anything, but Viva glam nicki looks lovely. This lipstick looks great on you! 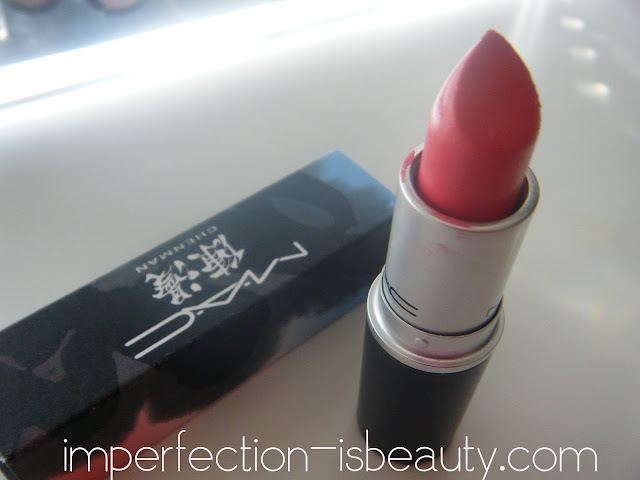 I need to get to my MAC counter ASAP and see what they have left. Its not my first time to visit this site, i am browsing this site dailly and get fastidious data from here everyday.